After scaring the bejesus out of audiences the world over with 2014 horror flick The Babadook, writer-director Jennifer Kent is beginning to make headway on her next creative venture: a period drama by the name of Nightingale. 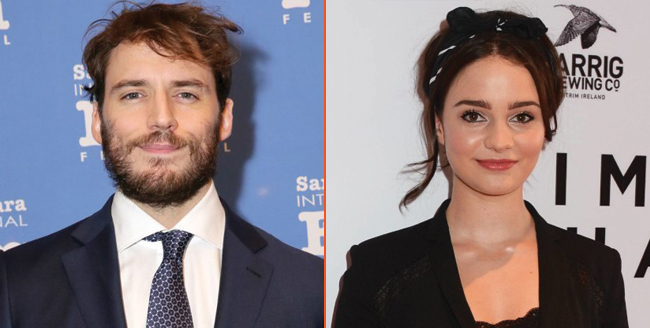 Set in the Tasmania of 1825, The Hollywood Reporter has learned that Sam Claflin (The Hunger Games, Me Before You) and Aisling Franciosi (The Fall) have officially signed on to headline an eclectic cast comprised of Damon Herriman, Ewen Leslie Harry Greenwood, Baykali Ganambarr and Magnolia Maymuru. The story, meanwhile, orbits around a “21-year-old Irish convict (Franciosi, presumably) who, after witnessing the brutal murder of her husband and baby by her soldier master, takes justice into her own hands, finding an Aboriginal male tracker to enter the wilderness with her to seek revenge.” Sam Claflin will likely play the Aboriginal male tracker, though it’s too soon to know for certain. Details on how those supporting players – namely Herriman, Leslie and the rest of the gang – fit into the cast also remain under wraps. Nevertheless, today’s two-fold casting coup comes hand-in-hand with confirmation that Kent has secured financing for Nightingale – Bron Creative and Bruna Papandrea’s Made Up Stories have pledged their support – indicating that the cameras should be rolling before the year’s end.